Arabic is the 7th most spoken language in the digital sphere. The number of the Arabic websites is increasing every day and the number of the websites localizing their content to attract more Arabic speaking users is growing. The techniques used to develop RTL websites are still misunderstood or mysterious for some. I will try to shed some light on the problems I have been facing and the tricks I am using to build RTL websites. Note: Arabic is not the only language that is written from right to left. Persian and Hebrew are also written in the same way so relevant speakers might find the posted information useful. Text will naturally be aligned to the right. Margin and padding of some elements will be calculated differently. Note: The value of using the direction attribute in the HTML rather than the CSS is to add a semantic value. The change we are making is not just for presentations. It will also ensure that the document will render using RTL if for any reason the CSS files fails to load. The dir attribute is also used in conjugation with the lang attribute which specify the natural language of the document. See the Pen jGkav by Ahmad Alfy (@ahmadalfy) on CodePen. See the Pen arqLy by Ahmad Alfy (@ahmadalfy) on CodePen. Using the RTL direction defines a (complex) algorithm for determining the proper directionality of text. This will ensure that the whole sentence will be presented as RTL and the embedded English sequences will be properly reversed by the bidirectional algorithm. See the Pen kGnat by Ahmad Alfy (@ahmadalfy) on CodePen. If we decided to eliminate the spaces between the numbers and use dashes, we still face the problem of the "+" character that comes at the beginning. See the Pen caork by Ahmad Alfy (@ahmadalfy) on CodePen. These properties would have made life easier if they were supported by every browser. The -start will be translated to be right or left according to the document’s direction. It makes perfect sense to use it except that they are not supported by Internet Explorer. When I tried to understand how IE handles this issue I didn’t find anything unusual. It utilizes the regular padding property and the browser itself flips it. See the Pen Hqmyd by Ahmad Alfy (@ahmadalfy) on CodePen. Text aligning. If it was specifically declared, it should be flipped. Floats. It's easy to flip floats; right becomes left and vice versa. Margin and padding. Values should change from clockwise to counter-clockwise. Individual horizontal properties should be resetted and the counter property should be set. See the Pen JFput by Ahmad Alfy (@ahmadalfy) on CodePen. There is an ugly solution to fix this issue. 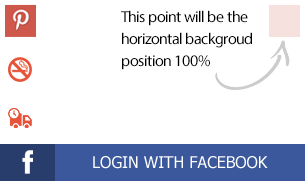 The image could be created with the desired amount of empty pixels and set the horizontal background position to be 100%. The ultimate fix to overcome all this headache is to use pseudo-elements and create inline blocks using the background dimensions and position it wherever we like. There are several approaches to change an existing design to make it RTL. None of the approaches are 100% automatic. This method became popular recently due to the rise of different tools that automatically parse the CSS files and produce an RTL version. Very easy to use and to maintain. The generated files contain all the properties even those that shouldn't be overridden. When the user tries to switch between the RTL and LTR versions, he will load a lot of unnecessary CSS again. 200KB of CSS could be overridden only by 10KB of CSS. This approach will create a new 200KB file. Creating a file that contains only the necessary properties that override the original CSS and load it last. The result file size is usually small. Makes an extra HTTP request. Adding overrides to the same CSS file. We could even do better by adding SCSS to the flavor! Using the parent selector the overriding information could be added near the original declaration granting us better readability and easier maintenance. I have helped converting a lot of existing websites to become RTL over the past few years. There is a Chrome extension called My Style that facilitated the process for me. This extension add a textarea to the pages the user visit. It is toggled by pressing ctrl + m. Whenever CSS declaration is added to it, it will affect all the pages on the this domain. The CSS isn’t removed until the user remove it manually. Using this extension, I start adding the overrides till I get the prefect result. If you created RTL websites before or use a different approaches, please feel free to leave comments or questions. I would like to express my gratitude for the awesome David Walsh and Kareem El Ansary for taking time to review this article. All licensed under Creative Commons CC0.